Home > ACP Protocol, What is it? We do love our kids and grandkids, don’t we? In all things, we want the very best for them. From the moment we learn about their pending arrival, their future becomes paramount in our minds and lives. Our planning and our action start while they are in the womb. Expecting mothers change their diets. They give up smoking and drinking alcohol. We – parents, grandparents, family, and friends – we all start to talk to bellies and tell our new family members about mom and dad and even the eccentric aunt or uncle, who will take a little time to get used to at Thanksgiving dinners. We play music to them so that they can gain an appreciation of the genius of Mozart and the Beatles. After they arrive in the world, we feed them all the right foods. We buy toys to stimulate their minds; we get them into play groups to help them socialize; we encourage their participation on sports teams or debate clubs, depending on their gifts, so that they can learn about teamwork and fair play; and we warn them about the dangers in life in order to save them from unneeded hurt. We love them, guide them, discipline them when necessary, and all along the way we dream about their future, always searching for ways to help them be all that they were made to be, happy, healthy, and productive. Increase the life expectancy of a child by eight years. Significantly reduce the child’s use of, and lifetime risk of, alcohol, tobacco, and other drugs. Dramatically lower the child’s risk of suicide. When depression hits, which happens sometime to all of us, the ACP protocol has been proved to help rebound from that depression 70% faster. When followed by the family, this protocol will improve children’s attitude in school, increase their connection with their friends and teachers, and when (not if) they rebel, it reduces the risk of life-long repercussions from the rebellion. ACP increases the probability of a child’s attending college, reduces the odds of binge drinking while in college, and dramatically lowers the risk of committing a crime. When continued into adulthood, those who participate in ACP are more likely to report that they are “very happy” with their lives, more likely to be able to communicate a lifelong moral compass that guides their lives, and more likely to have an intact extended family for their own children to interact with. The article reporting on the ACP protocol is based on research that has come out over a number of years from Duke University, Indiana University, the University of Michigan, and other colleges. It also included findings of studies from the Center for Disease Control, Barna Research Group, Gallop, Pew, and the National Institute of Healthcare Research. All of the studies have been verified by multiple national surveys. ACP is available in every town, is free to start, and you pay only if and when you are satisfied, and even then how much you pay is totally up to you. ACP is an acronym for Active Church Participation.  We urge you to pursue ACP at any church of your choosing, and invite you to share it with us at The Church of the Redeemer.